Aleksey Navalny claims he is suing Russian President Vladimir Putin over alleged conflict of interests that emerged when state funds were allocated to a company managed by a man who according to press reports could be Putin’s son-in-law. 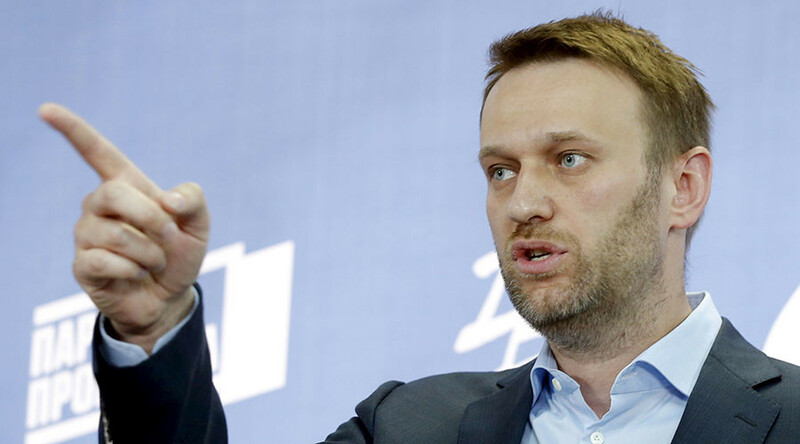 Once a relatively successful greenmailer, Navalny gained prominence as an anti-corruption activist and is now the leader of the unregistered opposition Party of Progress. He wrote on his web-site on Thursday that he was filing an administrative lawsuit to the Tverskoy District Court in Moscow. In the lawsuit, Navalny claims that the Russian president violated the federal law on corruption by not reporting the conflict of interest as he ordered the allocation of funds from the National Wealth Fund to the Sibur oil company in October 2015. The alleged conflict of interests appeared because one of Sibur’s board members – Kirill Shamalov – is married to Katerina Tikhonova, who is allegedly Vladimir Putin’s daughter. Navalny said in his internet statement that he based the lawsuit on allegations made in the research released by Reuters news agency in November 2015. “All that we demand is to acknowledge the conflict of interests, report about it and stop making such decisions personally,” the activist wrote. He added that apart from the lawsuit he and his allies filed complaints to the Prosecutor General’s Office and the Presidential Administration. Representatives of the Tverskoy District Court told RBC on Thursday that they have received the lawsuit and will decide on whether to accept it within three days. Presidential press secretary Dmitry Peskov told TASS that he had no information about the lawsuit. In December 2015, Putin refused to comment on allegations that Katerina Tikhonova is his daughter. "I never discuss my family: my daughters are not involved in business or politics," the president told reporters at an annual press conference.